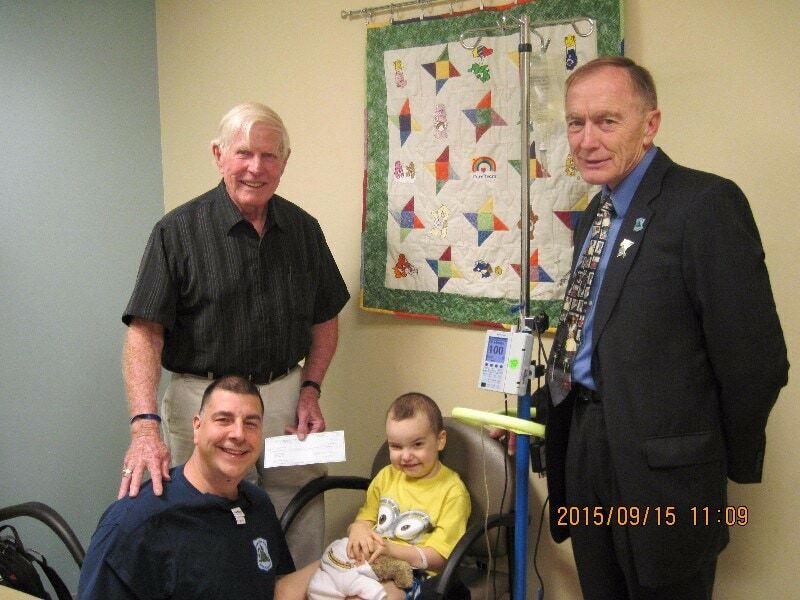 On September 15, 2015, Cops For Kids With Cancer went to Tufts Medical Center and made a $5,000.00 to the family of Jackson Pilcher, a 4 year old boy from Pelham, NH who has (ALL) Leukemia. In photo left to right. Father David, Bob faherty, Jackson, and Bill Couiter, lieut. Det. MSP. CFKWC, Bd Dir.